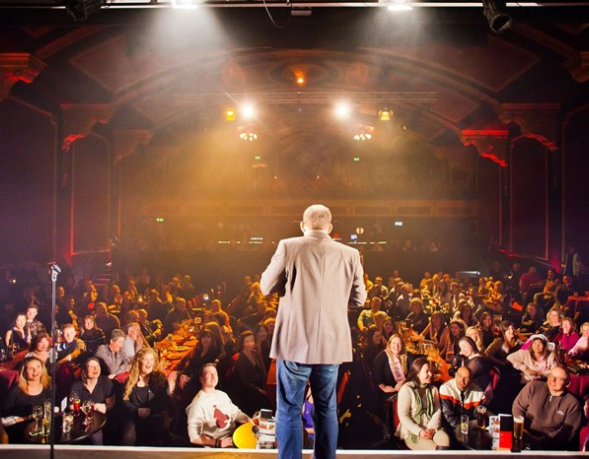 Enjoy award-winning comedy every Saturday night at Komedia, winner of the Chortle Award for 'Best Venue in Wales and the West' in 2010, 2012, 2013 and 2015. Experience a night of the best live stand-up comedy, featuring three established high profile acts and the best comperes in the business. These tickets include a main course from Komedia's event menu, as well as free entry to the critically acclaimed Motorcity club night afterwards. Please arrive between 6.30pm and 7.00pm for dinner. Show rules - no talking while performers are on stage. Komedia will ask people to leave if they spoil the enjoyment of others. The value of the gift voucher may be used towards payment for the purchase of a Meal Deal Gift Package. You may not give the gift voucher to anyone else to use and it may not be re-sold. The gift voucher is valid for 12 months from the date of purchase. Any balance unused in this 12 month period will be cancelled and no refund will be given. Please call Komedia Bath ahead of the show you would like to attend to book in (subject to availability).